I recently became totally Instagram obsessed. With the Instagram new feature of stories gently ripped off from Snapchat, many people turned into this platform which made Instagram, even more, interesting. I’m not going to lie, I personally love it! I used Snapchat, occasionally and only for stories only as I personally think it’s rather teenager platform but now Instagram have 2 in 1, it’s a winning game for me. Since Instagram introduced stories a few days ago, I’ve noticed more people started uploading pictures and thanks to this, I have found new amazing accounts to follow. Even I got hooked, and I upload more often. Go, have a little look 😉 @idontcrampmystyle I also noticed amazing inspirations, especially showing a gallery wall! If you rent your apartment and you can’t drill into your walls I have shown you already few idea’s via my #swifthomehacks series and my how to create a gallery wall in rented apartment post. 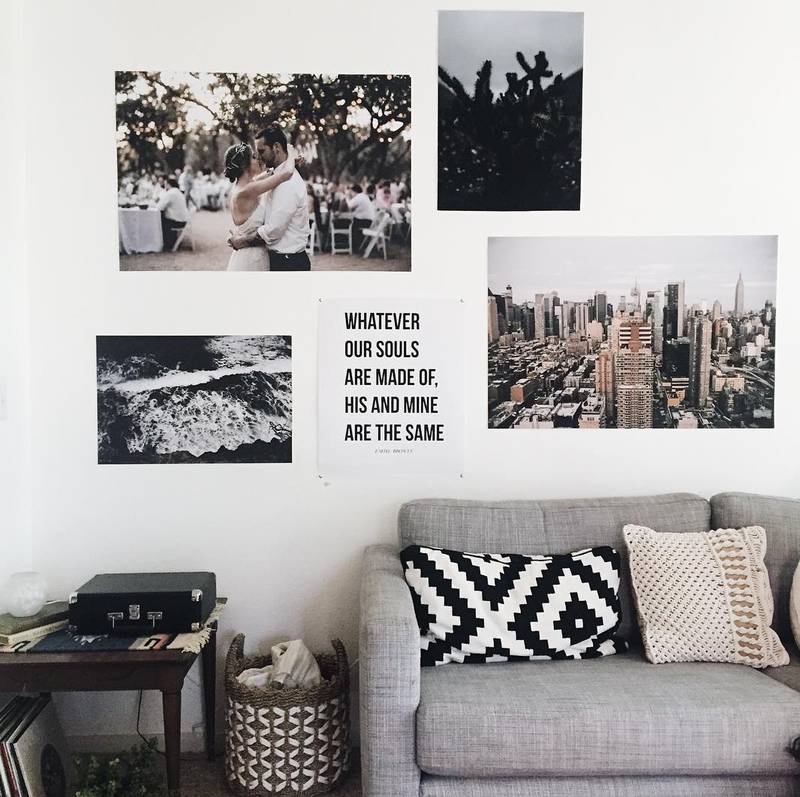 Today, it’s not about my home but about my favourite Instagrammers homes and they easy instagrammable walls but again, the idea’s will save your deposit as you no need to drill into your walls. Let’s start with my Ali Kate, literally my Instagram soul. Her home is absolutely beautiful plus this girl has an amazing style. I would just scroll and scroll through her Instagram. Ali Kate recently revamped her living room and like me, this girl knows where to save few pennies. Her gallery wall cost her less than 10$. Amazing isn’t?! If you feel inspired enough, go check out her blog post about it and her amazing DarlingForaWeeekend Instagram. Next, Instagrammer I love is a Jeni and her beautiful french bulldog. He is the cutest. I’m totally in love with her Instagram account and she shares the most amazing shots of Paris, her home with this extra feature of her cute dog. 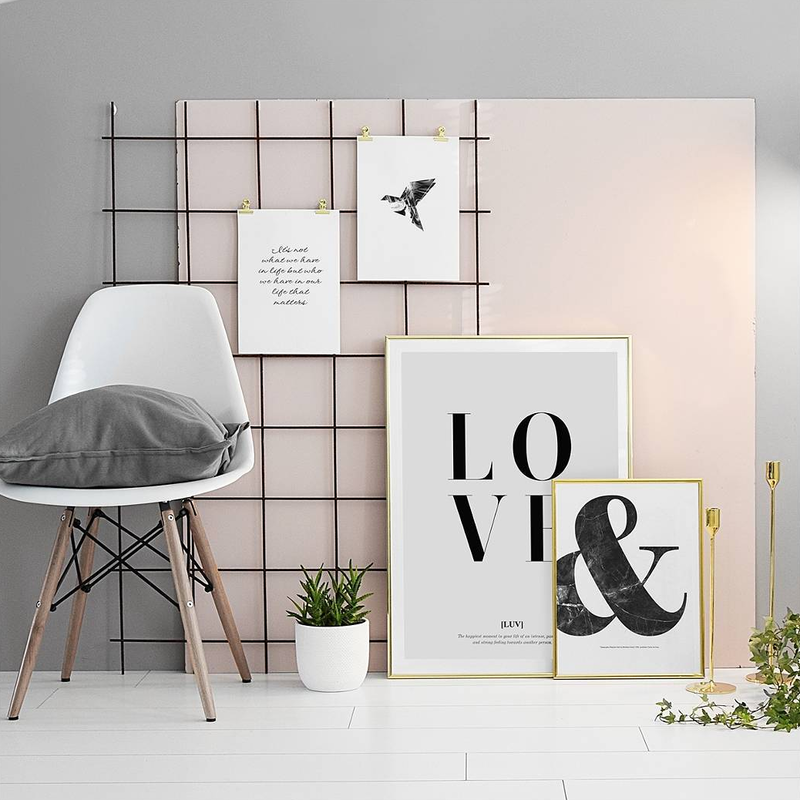 I came across Jeni amazing home office where she presented a beautiful and simple gallery wall by simply using washi tape. Check out Jeni amazing blog and definitely, don’t miss out her Parisandpups Instagram. 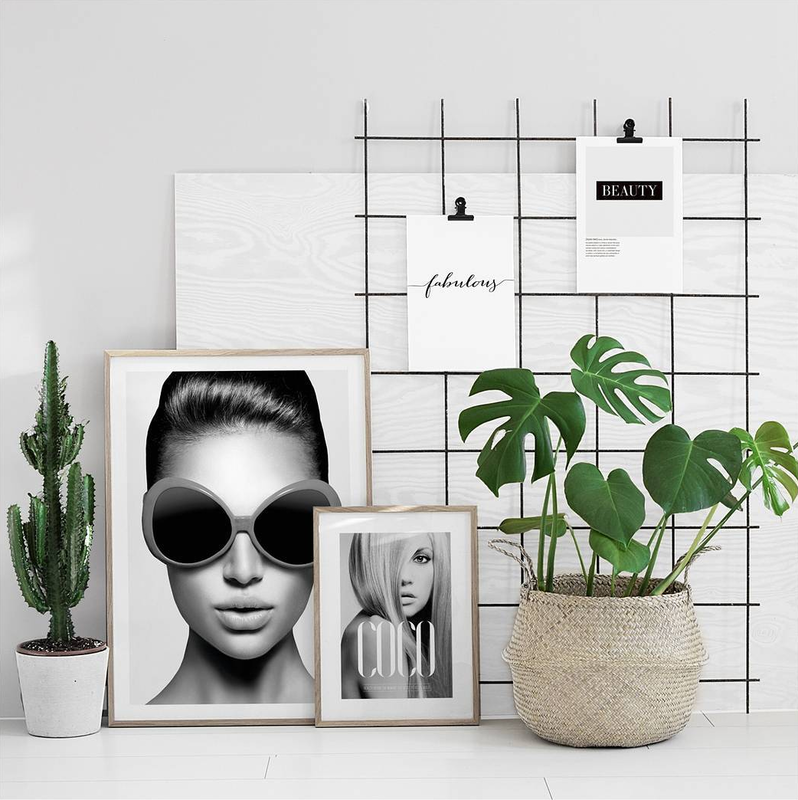 Here, another idea how to create a gallery wall from Desenio Instagram. Just look at the simplicity. You can achieve this looks by simply printing your favourite photos, some washi tape or double sided tape and a little imagination! Sometimes simple idea’s and your own personal style can give a much better effect that expensive framed artwork. Have a look at the HP printer for example. I am definitely going to do that, so watch out for my next inspirations! To London, I wore pink and grey. 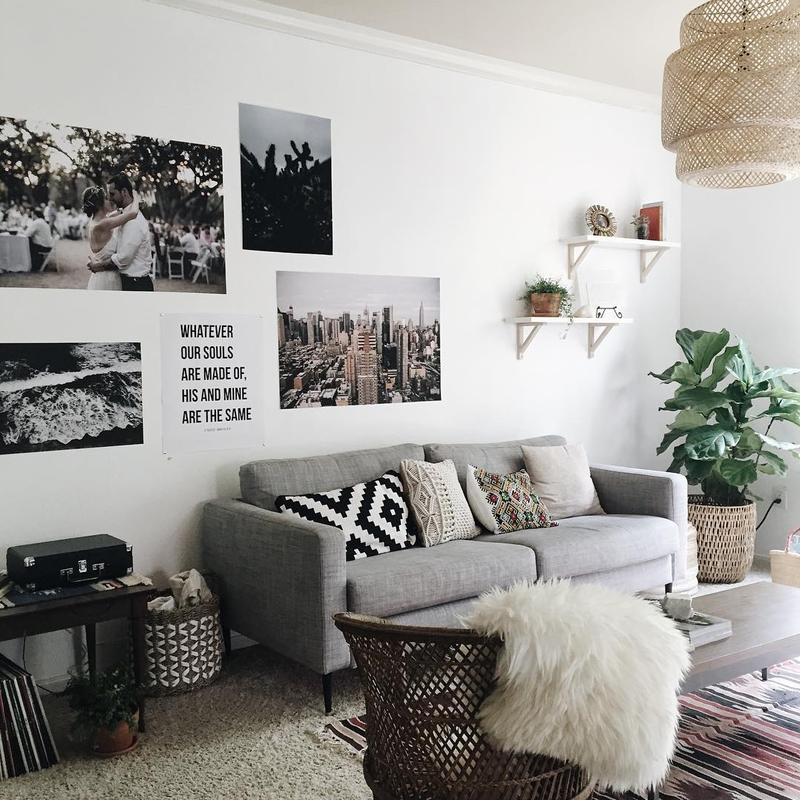 So much inspiration on Instagram, especially when it comes to cool interiors. I love Instagram! Gallery walls look like such a good idea! Oh wow I love Ali Kate's feed (just had a peak!) thanks for suggesting new people to follow. I'm always up for following people who take pics of things different to that of what I blog about!